Samsung's AllShare Play application, which allows file sharing among the company's mobile devices, has been renamed Link, and it has a new user interface and search features. The Link app will replace the existing AllShare Play app on Samsung smartphones and tablets. Users will get a pop-up on their Samsung device prompting an update of the service, after which the Link application can be installed. 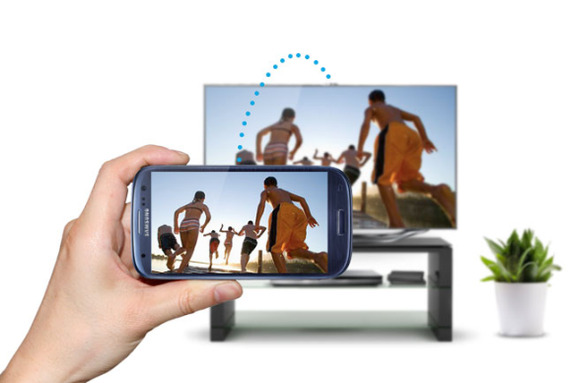 In addition to sharing images and music, the AllShare Play application beamed video between TVs, smartphones and tablets compatible with the DLNA (Digital Living Network Alliance) specification, which allows multimedia content sharing between devices. The multimedia files stored on AllShare Play will be transferred to Link. Users have to log into their Samsung accounts to access the service. With Link, users will be able to search for content across all registered Samsung devices tied to an account. AllShare Play was largely designed to index files stored locally. "Users can view, play, and send content from one device to another or access content saved on storage services such as Dropbox and Sugarsync. This service is preloaded and deeply integrated into your Samsung device," Samsung said in an email describing the Link service. Content can be accessed online through Samsung's Link website. Link also has a "brighter" user interface, Samsung said. Link also makes it easier to browse and attach photos to third-party applications and could be useful for Galaxy Note devices, which are designed for use with the S-Pen stylus.